The Japanese government announced its 2018 budget proposal near the end of December 2017. The total defense budget was 5.1911 trillion yen, having been increased for the sixth year in a row and making a new record for the fourth year in a row. Attention focused on the purchase of expensive American weapons including the Aegis Ashore land-based missile defense system, long-range cruise missiles, F-35A fighters, Global Hawk unmanned surveillance aircraft, and Osprey transport aircraft. Four of Japan’s national papers (all but the Sankei) wrote about the increased defense budget in their editorials. 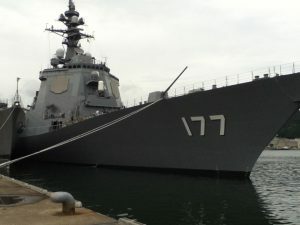 In contrast, the Asahi (December 23) stated, “Swelling defense spending amid the current fiscal woes will place a big strain on the state budget as a whole,” and urged restraint when considering how much to emphasize missile defense, asking, “Will the new weapons system really be worth the enormous costs? Does the Abe administration’s heavy spending on U.S.-made weapons signal an excessive effort to please Washington?” The paper called for careful debate over the issue at the regular Diet session starting in January. *English translations of The Yomiuri,The Asahi and The Mainichi are from The Japan News, The Asia & Japan Watch and The Mainichi, respectively. Those for The Nikkei is provisional. The content of this page was made by the Foreign Press Center Japan and does not reflect the opinion of the Japanese Government or any other organization.